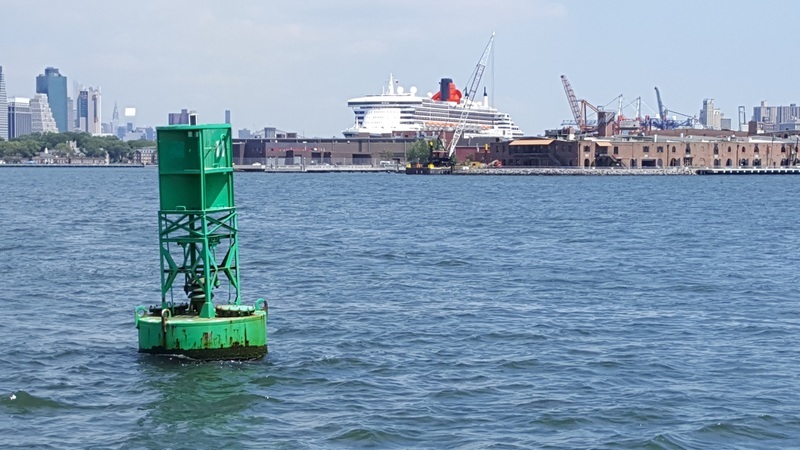 This buoy notes the north end of the Bay Ridge Channel. To the south of the buoy are the Gowanus and Bay Ridge Flats, which are too shallow for commercial ships to traverse. This is a green buoy, which indicates to mariners to stay to keep it on their starboard (right) side as they are heading south, since they are leaving the harbor. See In the Water for more information on navigation and the harbor.